Yes, I’ve been on a bit of a blog break this summer. So, in sympathy with the children going back to school, let’s do a “What I did on my summer vacation” entry. There I was strolling along a busy city street in San Diego, enjoying the beautiful day, minding my own business, when I was rudely slapped in the face by a series of sexist marketing messages, right there at eye level. 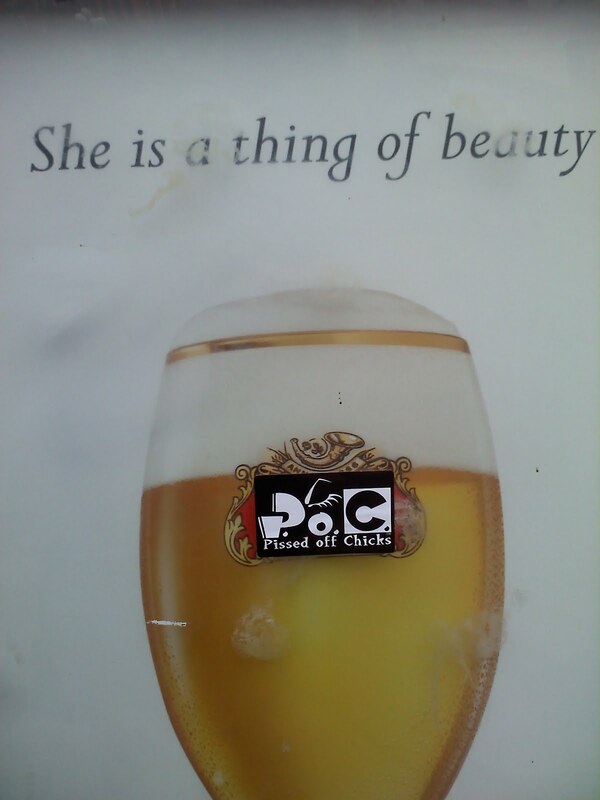 “She is a thing of beauty” – Stella Artois’s ads on large street level posters – all the way down the street. This is a beer that I used to buy, but buy no longer, because of the offensive slogan. So it brought a smile to my face when I saw this bit of counter-marketing. The big beer makers love to mock women or treat them like objects, clearly not considering them actual potential customers. And some chicks are not that happy about it. 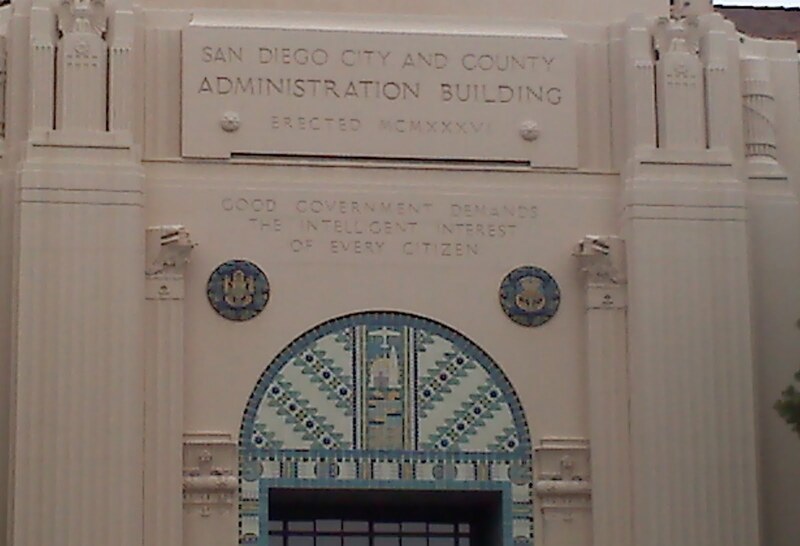 Also, I took this photo in San Diego. And intelligent interest requires that you be informed. And to be informed, you need quality journalism, not industry PR. So support journalism, which is critical to a healthy democracy. You could subscribe to your local daily paper, for example. Just for kicks, a link to Sociological Images on the gendering of beverages. « Percy Jackson vs. Transformers 3: Media influences on your boys. Which message do you prefer?